With Bishop Luke, vicar of the Eastern American Diocese, rector of Holy Trinity Seminary, and abbot of Holy Trinity Monastery presiding and offering all prayers, and Archpriest Alexander, dean of Holy Trinity Seminary, serving as master of ceremonies, distinguished Orthodox clergy and scholars from across the country gathered at Holy Trinity Orthodox Seminary in Jordanville, NY, from March 7-9 for a conference on Orthodox anthropology and secular culture in the 21st century. Hailing from several Orthodox jurisdictions in America and all four major Orthodox seminaries, the speakers offered lectures and discussions on how Orthodox anthropology can and must engage with secular culture in North America to help heal the trail of brokenness left behind as radical modernists, both secular and religious, surge forward with so-called "advances" for individuals and society. Engaging on both theoretical and practical levels, the Jordanville Conference, as it is now known, demonstrated how the problematic presuppositions of modernity have necessarily led to incorrect understandings of human beings, religious communities, and the wider culture, which correspondingly impels its advocates to promote human behaviors that are destructive to mind, body, and soul. Below is the list of speakers who have authorized the video and audio recordings of their presentations on a special page of the Ancient Faith Radio website here. Bishop Irenei (Steenberg) of Richmond & Western Europe (ROCOR), D.Phil. Dr. Mark J. Cherry, Dr. Patricia A. Hayes Professor in Applied Ethics and Professor of Philosophy, St. Edward’s University. Dr. Bruce Seraphim Foltz, Professor of Philosophy Emeritus, Eckerd College. Rdr. Gælan Gilbert, Ph.D., Visiting Professor, University of St. Katherine (San Diego, CA); Headmaster, Christ the Savior Academy (Wichita, KS). Rdr. Alfred Kentigern Paul Siewers, Ph.D., Associate Professor of English, Bucknell University; William E. Simon Research Fellow in Religion & Public Life, Princeton University. Dr. Mary Ford, Associate Professor of New Testament, St. Tikhon Orthodox Theological Seminary (OCA). Dr. Edith Mary Humphrey, William F. Orr Professor of New Testament, Pittsburgh Theological Seminary. 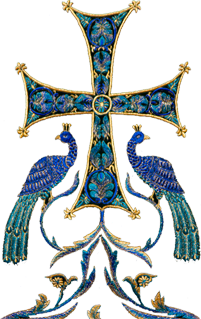 Dr. Timothy Patitsas, Assistant Professor of Orthodox Christian Ethics, Holy Cross Greek Orthodox School of Theology (Brookline, MA). Archpriest David Pratt, Ph.D., Orthodox Christian Chaplaincy Director and Associate Teaching Professor of Philosophy, Georgetown University. Dr. David Ford, Professor of Church History, St. Tikhon Orthodox Theological Seminary (OCA). Khouriye Frederica Mathewes-Green, author and essayist, published in newspapers and periodicals such as the Washington Post, Christianity Today, Smithsonian, and The Wall Street Journal. Archpriest Chad Hatfield, D.Min, D.D., President of St. Vladimir Orthodox Theological Seminary (OCA). Archpriest Peter Heers, D.Th., Headmaster of Three Hierarchs Academy (Florence, AZ). 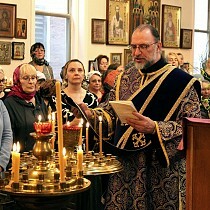 Archpriest John E. Parker III, D.Min., Dean of St. Tikhon Orthodox Theological Seminary (OCA). Dr. David Bradshaw, Professor of Philosophy, University of Kentucky. Rod Dreher, author of The Benedict Option; senior editor at The American Conservative. Archpriest Alexander F.C. Webster, Ph.D., Dean & Professor of Moral Theology at Holy Trinity Seminary (ROCOR). Fr. Johannes Jacobse, Founder & President of the American Orthodox Institute; editor for "Orthodoxy Today" and "Another City."